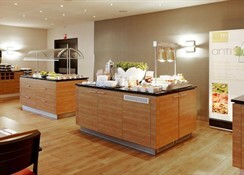 The 4-star NH Zandvoort hotel is on the North Sea beachfront with the dunes on the other side. The hotel is impressive, and the surroundings unspoilt – a great contrast. Fabulously modern inside. The facilities for meetings and functions are excellent, so you could combine business with pleasure; more details on that below. Lots of natural light, fresh food, a beach bar and a special terrace leads you to the boulevard. Very close by; great walking and biking country; and the Kennemer Golf & Country Club just 3km away; the famous Keukenhof tulip gardens can be reached within half an hour. Food, Drink and Entertainment:The Meer restaurant serves Mediterranean dishes, a la carte or you can let the chef surprise you with a yummy creation, we loved that. Excellent wine list and you can enjoy the views of the sea whilst your taste buds tingle. Activities:Meet the real outdoors; beach sports, swimming, a racing-circuit, cooking and tasting classes, lots of countryside and seaside walks and bike trails. There is a bike hire service, tickets for the local swimming pool, a children's play area and the Dunes wellness complex for treats – you deserve it! Guest Rooms: Clean sharp modern rooms with all you’d expect from a 4-star hotel. WiFi is complimentary, everything is comfortable with a choice of pillows, a TV, mini bar, oh and a coffee/tea maker which is always a welcome bonus. Yes there is a nice en suite too. The Zandvoort resort and Circuit Park are within easy walking distance. Amsterdam, Schiphol Airport is just 30 minutes drive. 12 multi-functional meeting rooms, three of which are on the 7th floor with stunning views over the sea, dunes and the Zandvoort international race track. And 9 boardrooms. 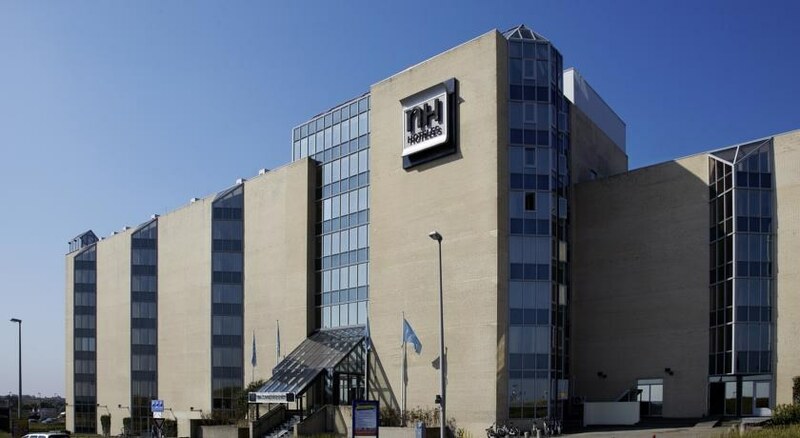 This conference hotel is located in Zandvoort- right by the beach- and is only around 30 minutes away from Amsterdam. It is located close to the picturesque town of Haarlem and the world famous Keukenhof flower show. Zandvoort offers numerous shopping opportunities and leisure activities- a casino- an international racetrack and a train station.||The hotel includes a total of 209 rooms over 7 floors- of which 14 are suites and offers guests a sun terrace- a hotel safe and Chicane bar as well as a summer bar/café outside. 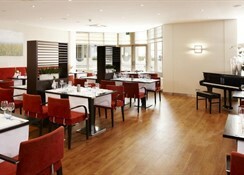 It additionally features sufficient space for groups of up to 250 persons. There are 12 multifunctional rooms- which are located on the 7th floor and offer a stunning view of the sea- the dunes and the car racetrack of Zandvoort. The air-conditioned Zeester (Starfish) room features a glass roof and is ideal for parties and other celebrations. Furthermore- the hotel includes 9 boardrooms- whose layout and design are based on the contemporary needs of our business guests. In addition- guests have the opportunity to use the restaurant for exclusive parties such as receptions- weddings- office parties or elegant evening soirees. Tethys restaurant lies right by the beach and close to the racetrack of Zandvoort. During meals- guests will be able to enjoy the stunning views. In addition- guests may make use of the 12-hour room and laundry services as well as the shoe cleaning service. For younger guests there is a playground available- a drinks machine and ice creams from the ice cream machine available. Guests may make use of the bicycle rental- car rental and car park for an additional fee.||The rooms include a direct dial telephone with connections for modem- cable/pay TV- Internet access with WLAN and background music. 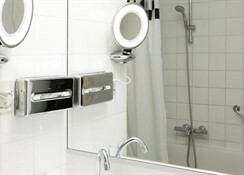 In addition- a hairdryer- toiletries- a trouser press and a choice of pillows are also available (hard- soft- feather...).